Attack on Titan is a Japanese 25 minute animation fantasy television series, which kicked off on April 7, 2013, on NHK and is broadcast every Sunday at 00:35. The show is currently in its 3th season. NHK is yet to announce the renewal of Attack on Titan for Season 4 as well as its cancelation. Sign up to track down the show's status and its release date. 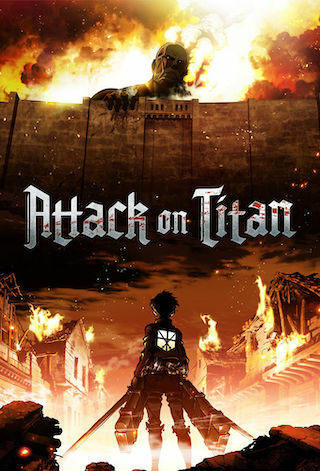 Known in Japan as Shingeki no Kyojin, many years ago, the last remnants of humanity were forced to retreat behind the towering walls of a fortified city to escape the massive, man-eating Titans that roamed the land outside their fortress. Only the heroic members of the Scouting Legion dared to stray beyond the safety of the walls  but even those brave warriors seldom returned alive. Those within the city clung to the illusion of a peaceful existence until the day that dream was shattered, and their slim chance at survival was reduced to one horrifying choice: kill  or be devoured!